Mezhyhirya, the former private residence of ousted Ukranian president Viktor Yanukovych, sits on the banks of the river Dnieper. The 137-hectare property (for comparison’s sake, Monaco occupies 195 hectares) has, pretty understandably, become a symbol of Ukranian corruption in high places. Known for his passion for extravagance, Ukraine’s former leader constructed an enormous and exotic residence which included a private zoo, an eighteen-hole golf course, a horse riding club, an underground shooting range, a garage complex for his collection of 70 cars and a helicopter pad and hangar. It also included a compound dedicated to dog breeding – and yes, the dogs are still there. 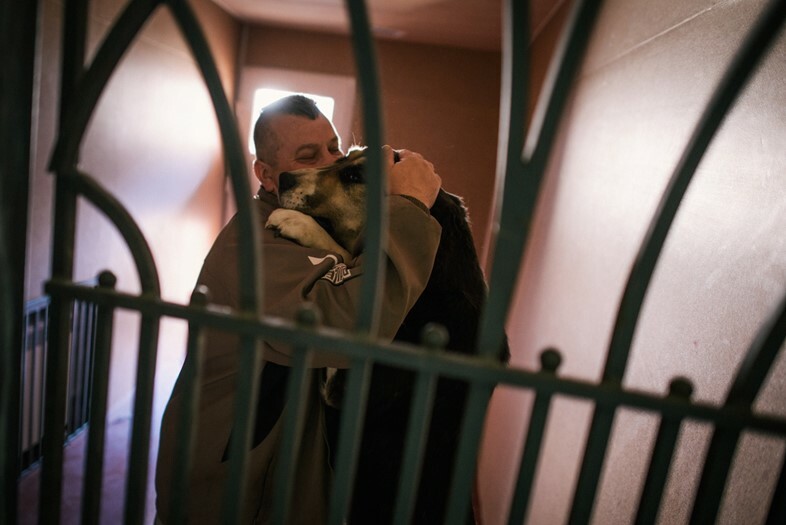 Nikolai Garus, 34, and Petrov Verena, 43, used to work as dog trainers in Yanukovych’s kennel. Like many other trainers, they decided to stay as volunteers to take care of the dogs after Yanukovych left. "These dogs are our life", Garus says. "They grew up with us and we are the only ones who know how to take care of them. 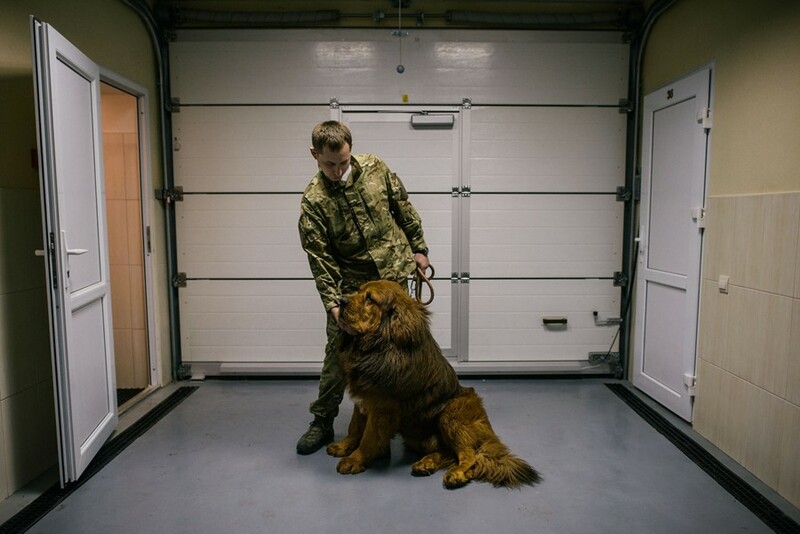 They were crying all day after Yanukovych left.” The kennel, which includes breeding and surgery rooms, a beauty salon, a gym and rooms for the staff who had to be onsite 24/7, is now open to the public. For 19 year-old student Olesja, who spent more than three months protesting in Maidan Square, these lavish kennels reflect Ukrainian reality and rampant corruption. “I’ve read somewhere that people buy big dogs when they don’t feel confident in themselves”, she adds. According to his trainers, the former president preferred to breed massive dogs. The smallest one, Antei, is an English Mastiff (the breed can weigh as much as 250 pounds). The other sixteen are gigantic shepherd dogs from the Caucasus or Central Asia. Ken, a beautiful red-coated dog, belongs to one of rarest and expensive breeds in the world, the Tibetan Mastiff – in 2011, a puppy was sold for more than 1 million euros. Yanukovych, who only kept a small Chihuahua in his gigantic mansion, visited the kennel only once or twice a week. 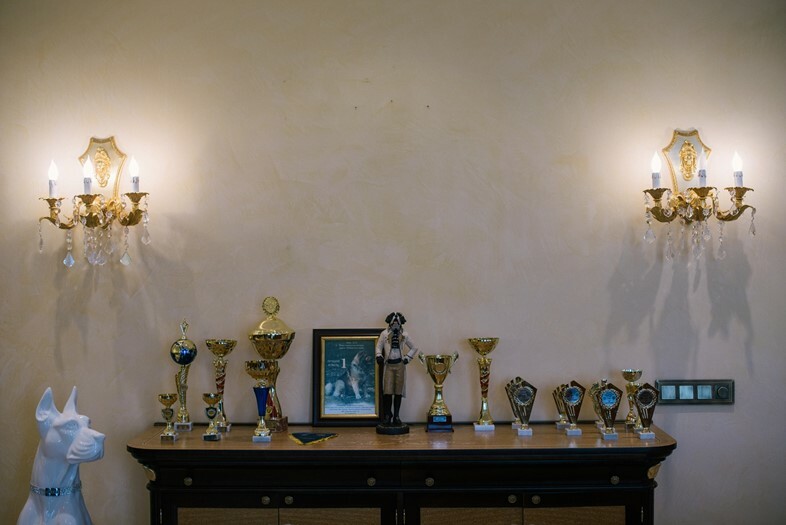 "He was always very busy," says Verena, proudly showing off a room full of trophies from international canine competitions, "but the dogs knew when he was coming because we they felt we were preparing for the occasion." “Yanukovych also used puppies as gifts”, Garus adds, producing the certificates of two English Mastiffs who were offered to the Chinese president. But maintaining the kennel and taking care of the dogs doesn't come cheap. At the moment, people pay an entrance fee of 10 grivna (around $1) during the week and 20 grivna on the weekend to visit the opulent property. Tour guides are even available for an additional 200 grivna. 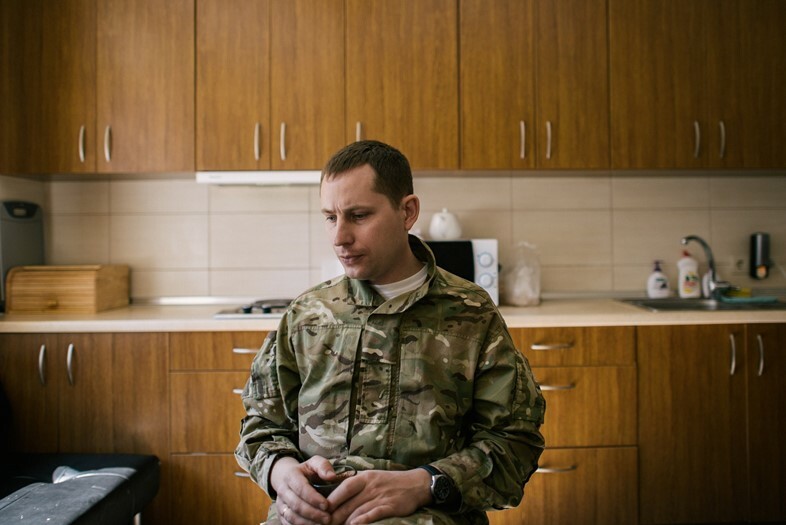 "Maintaining the kennel, as the whole property, is extremely expensive", says 51 year-old Igor Priyemskiy, who was part of a self-defence unit in Maidan Square and currently helps out with managing the finances of the property. "We found documents that show it cost €3.5 million a month. Now we are struggling to find the €30,000 to pay a reduced salary to the 80 people who still work on the property. Not to mention the electricity and gas bills!" Mezhyhirya was originally built during the Soviet Union, but Yanukovych later privitised it through a complex money laundering scheme and added his own extentions to the pad. Since the government seized it, several proposals have been made for the future use of the property – one was to convert it to a rehabilitation center for children – but there are few solid plans in place for the property. Given the political climate in Crimea, the current government claims it can’t make any concrete decisions on it. In the meantime, its gatekeepers will continue to collect 10 and 20 grivnas entrance fees, showcasing the lavish kennel and private passions of a former president to the people he betrayed.